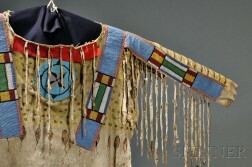 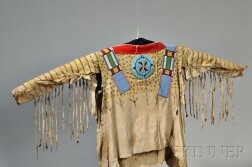 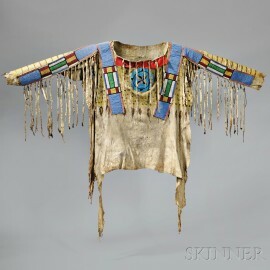 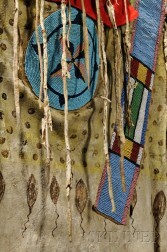 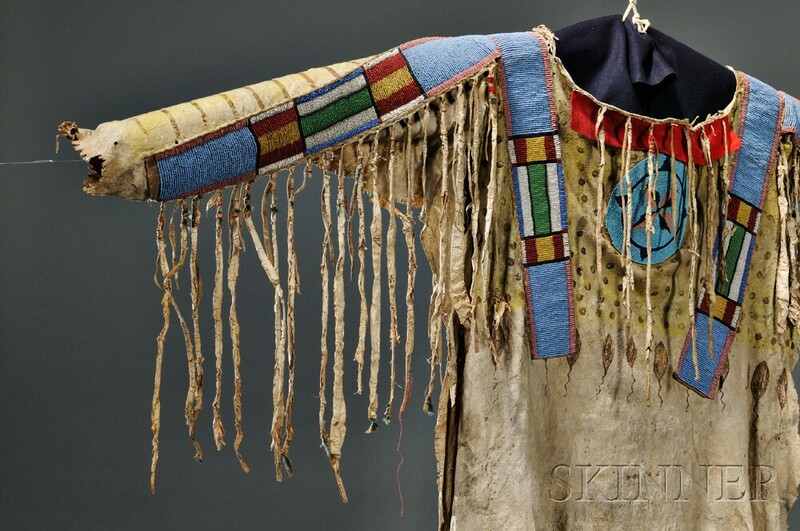 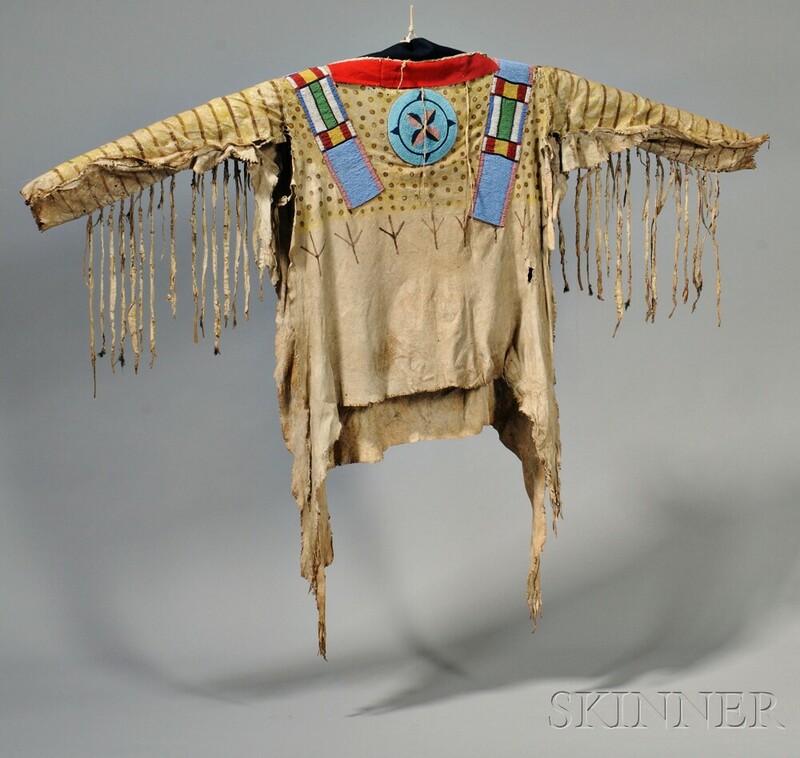 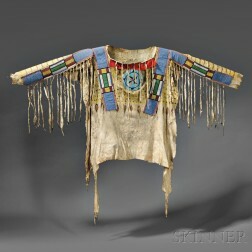 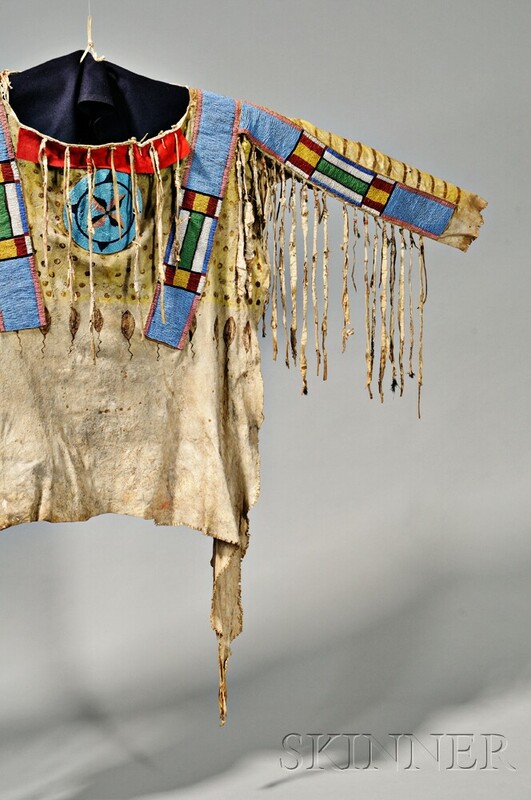 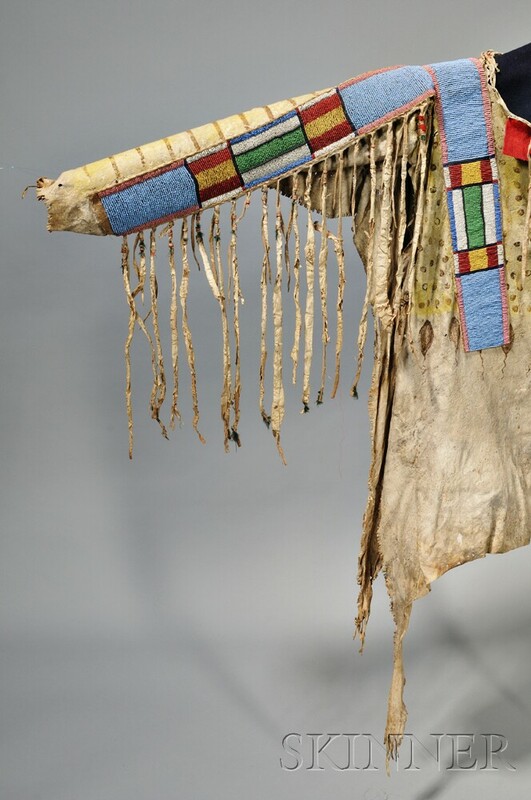 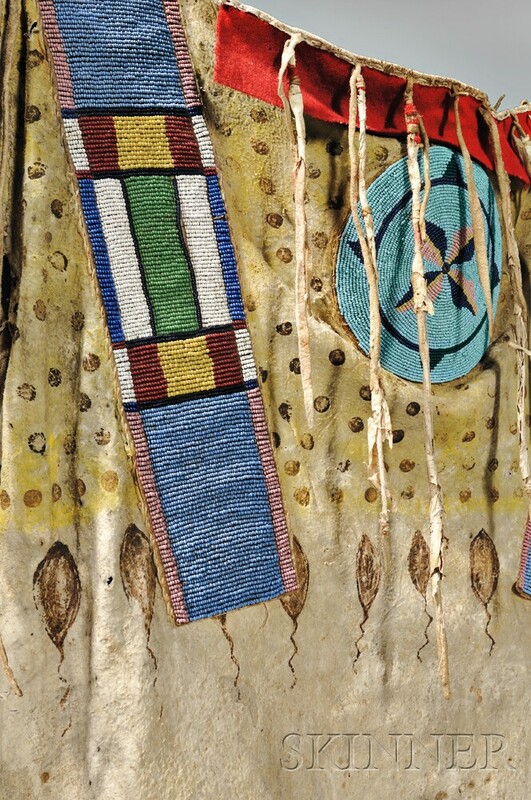 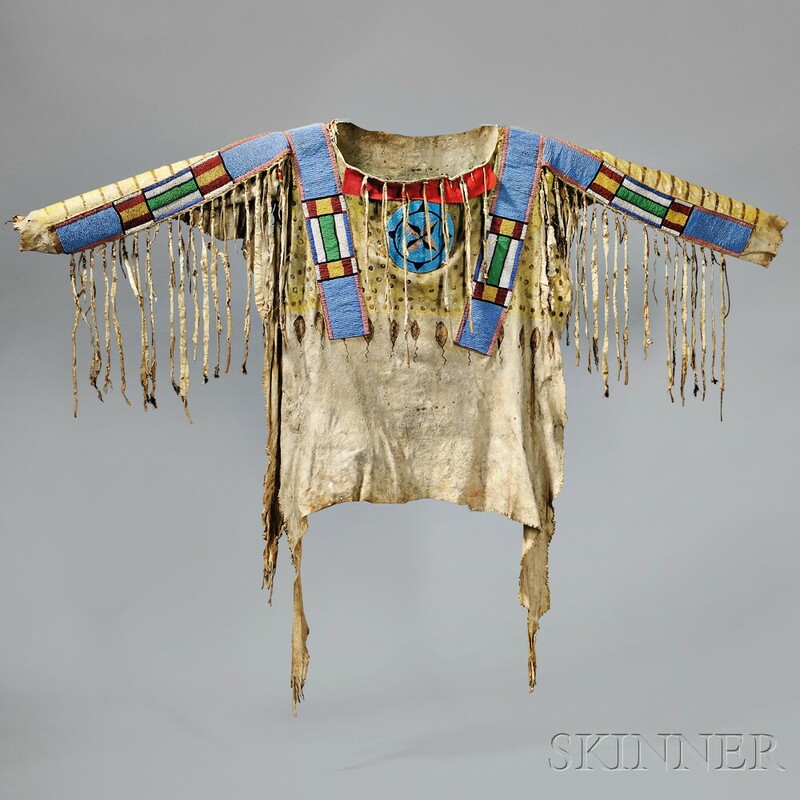 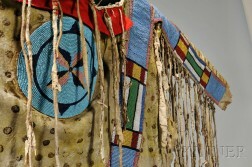 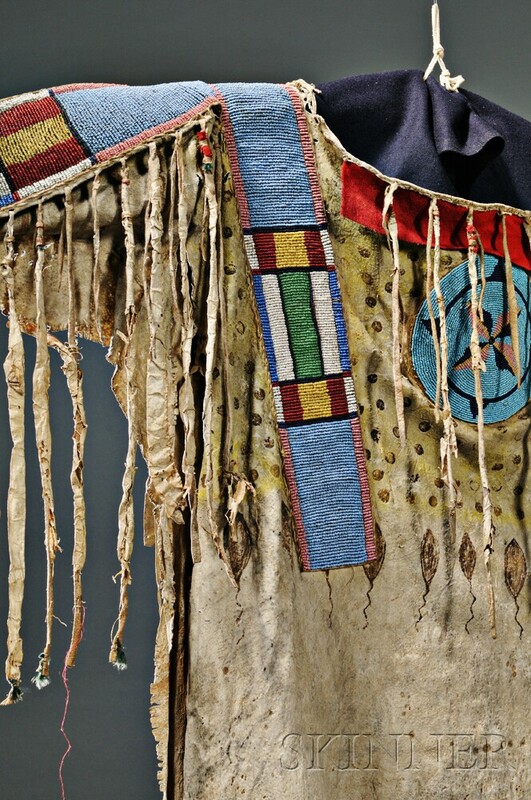 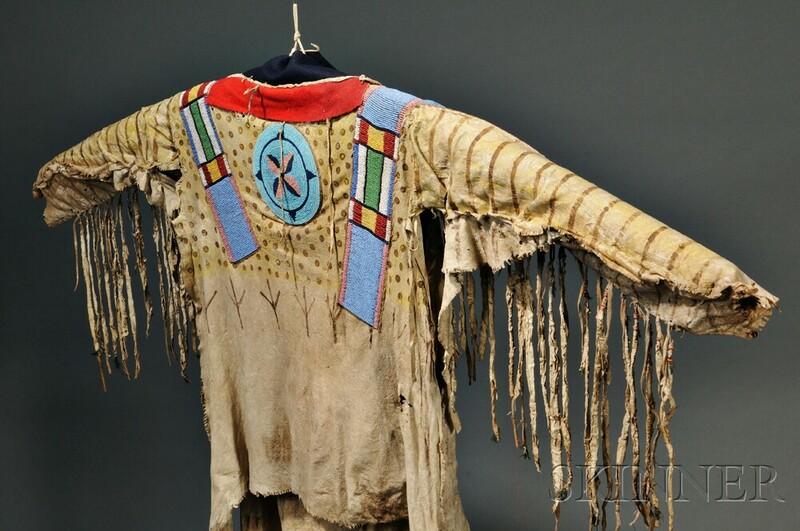 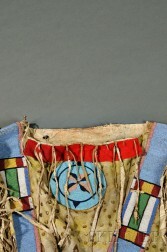 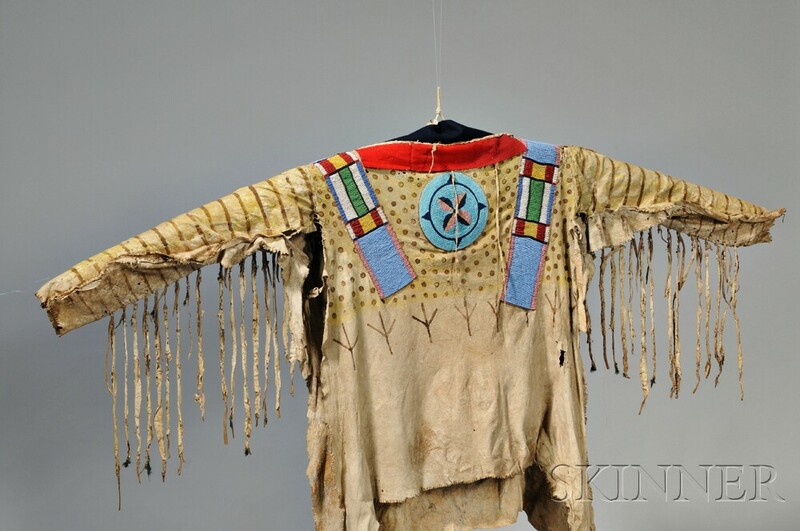 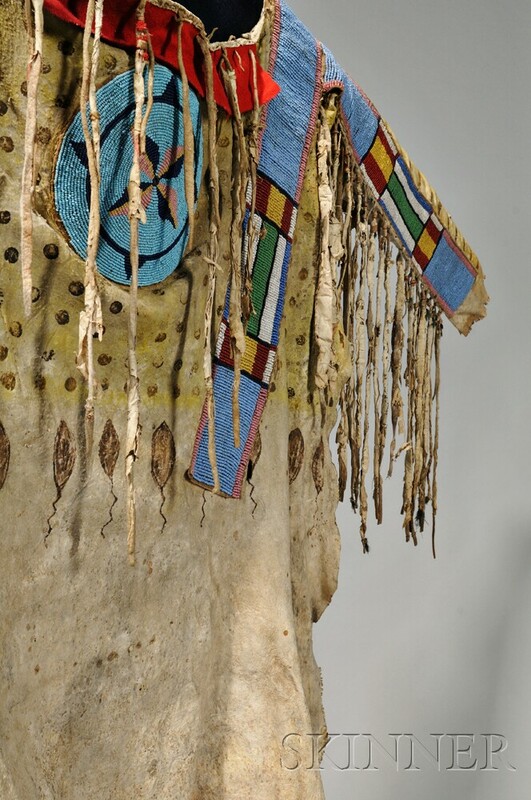 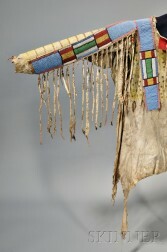 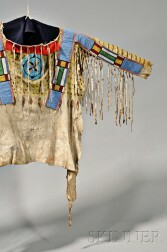 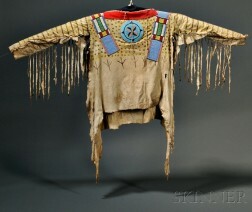 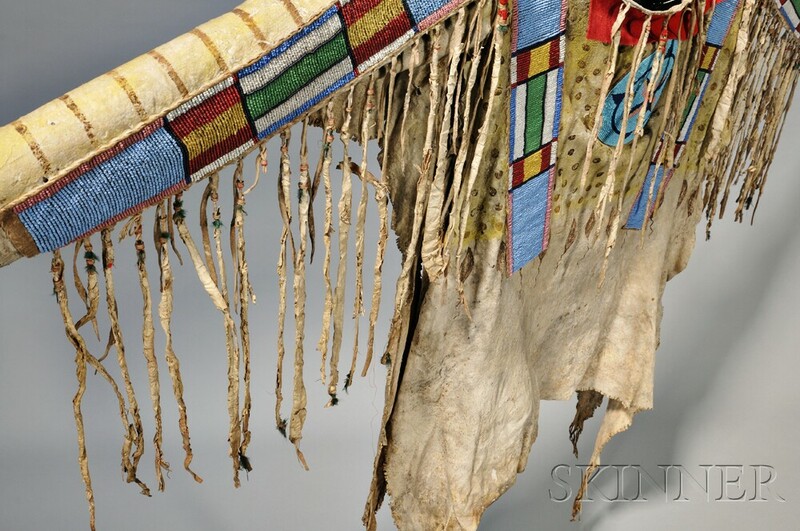 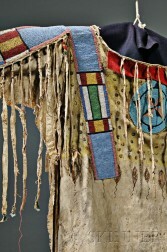 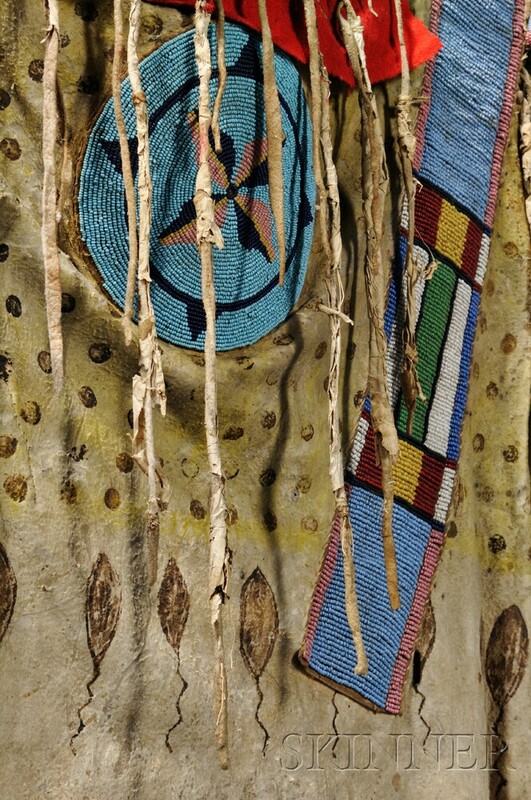 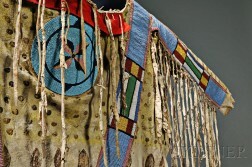 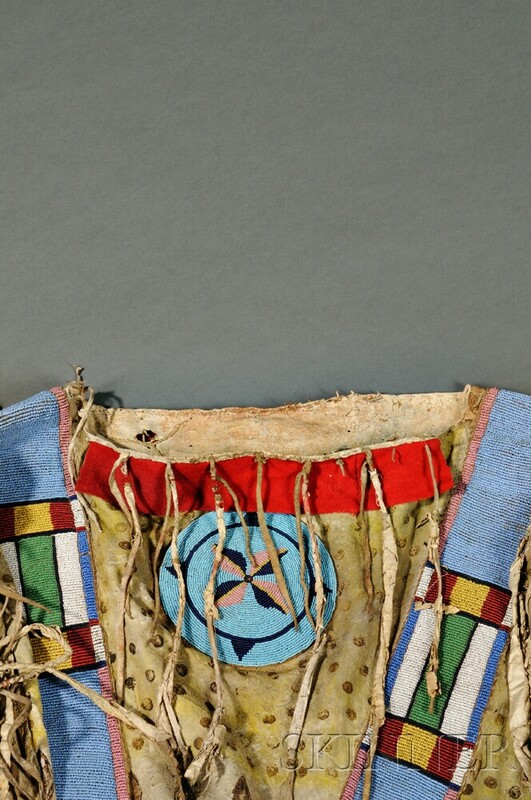 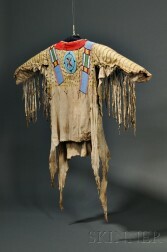 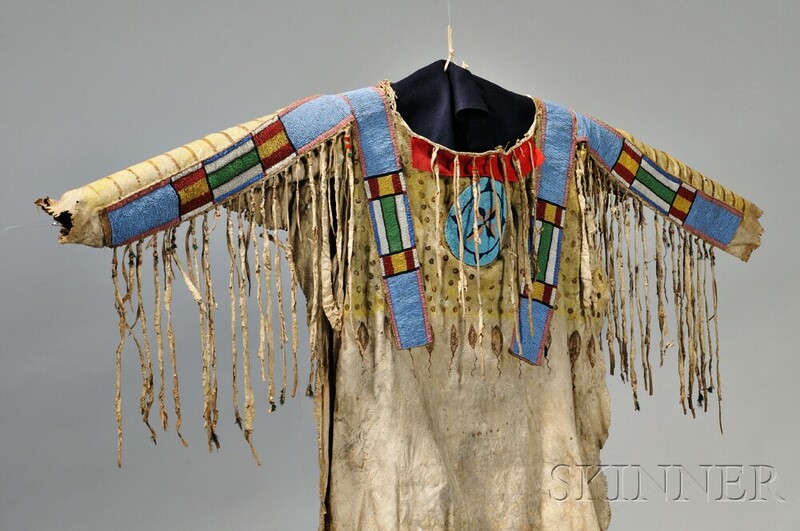 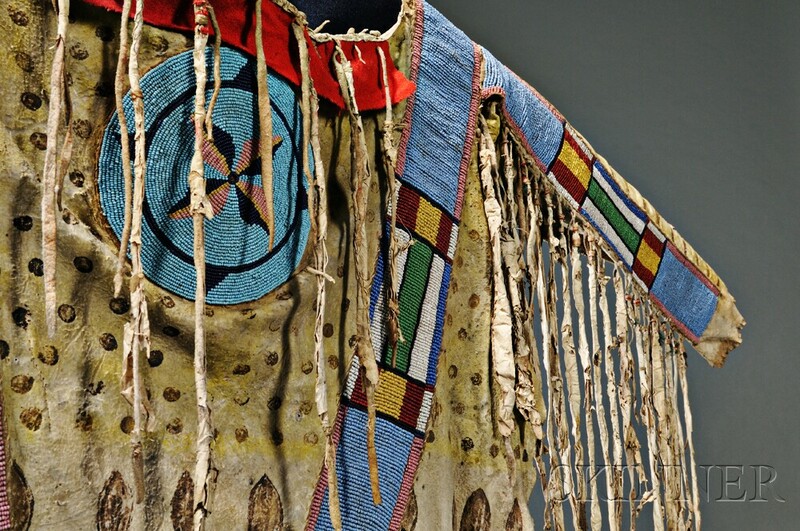 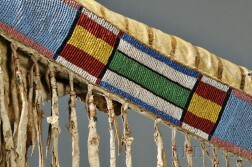 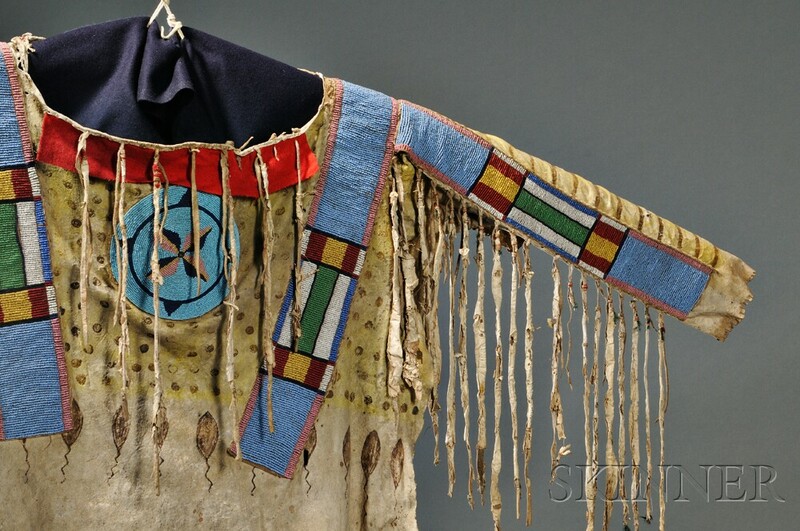 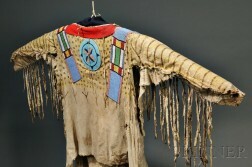 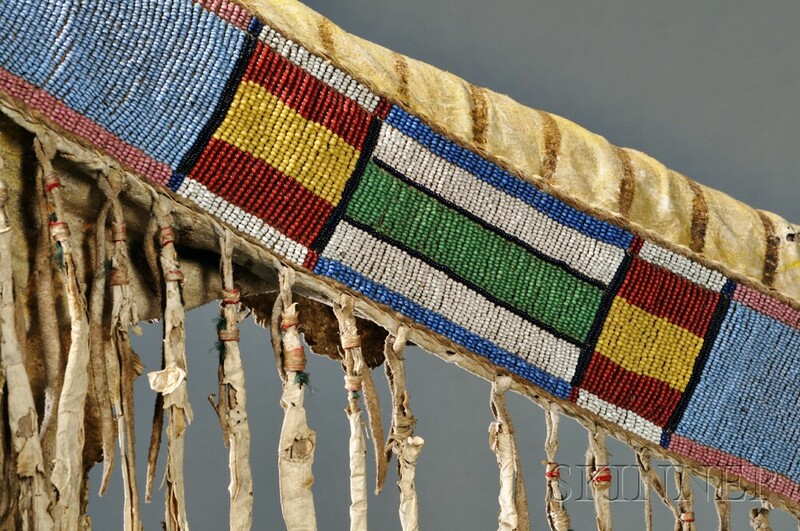 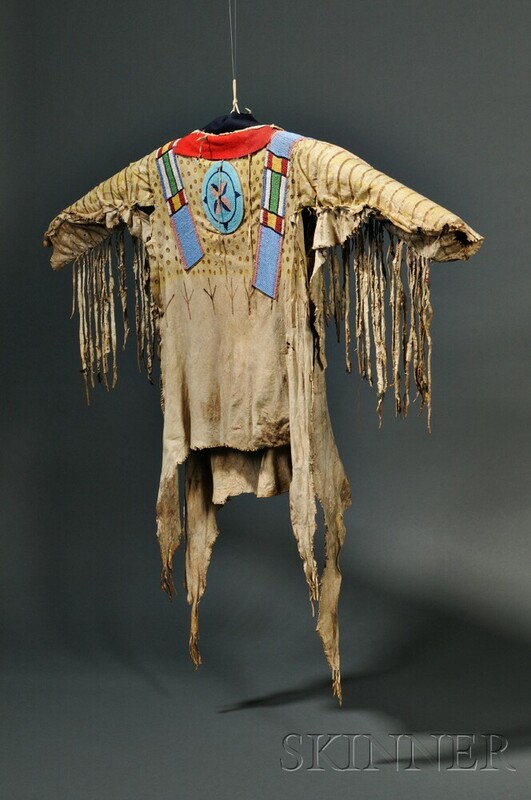 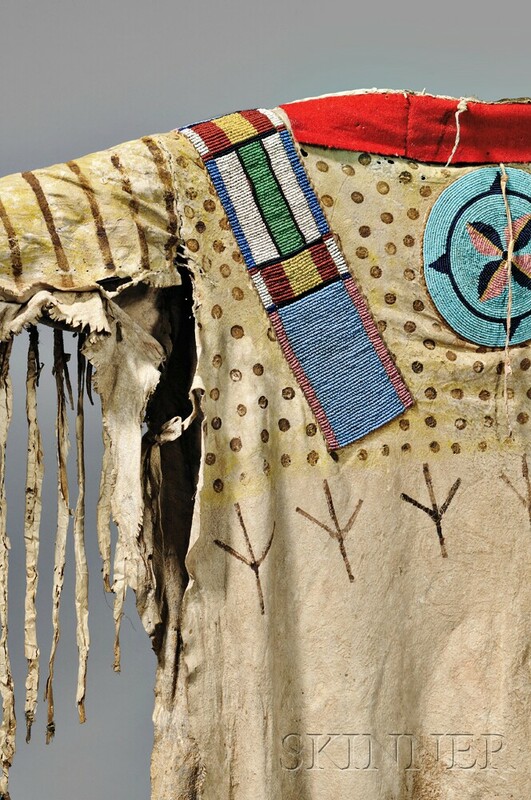 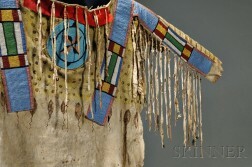 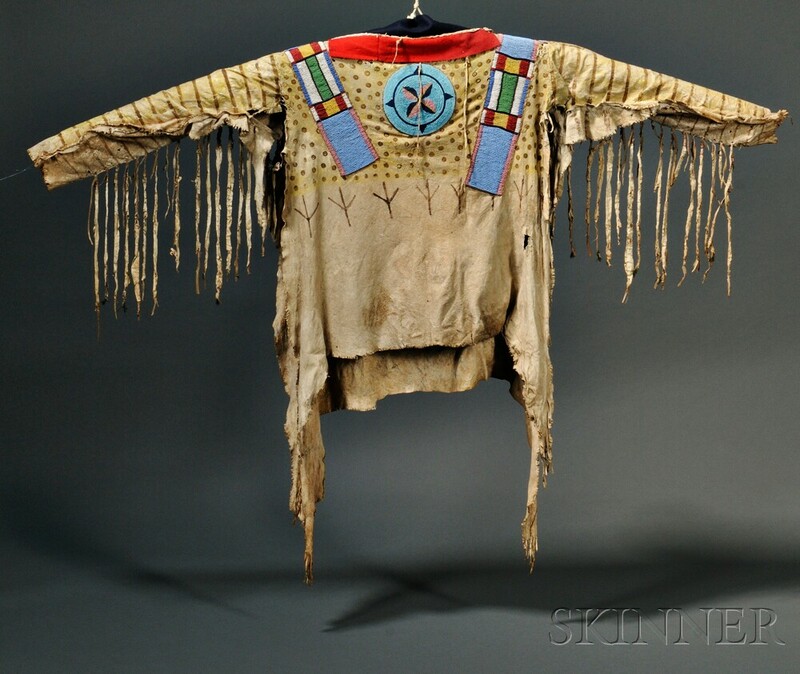 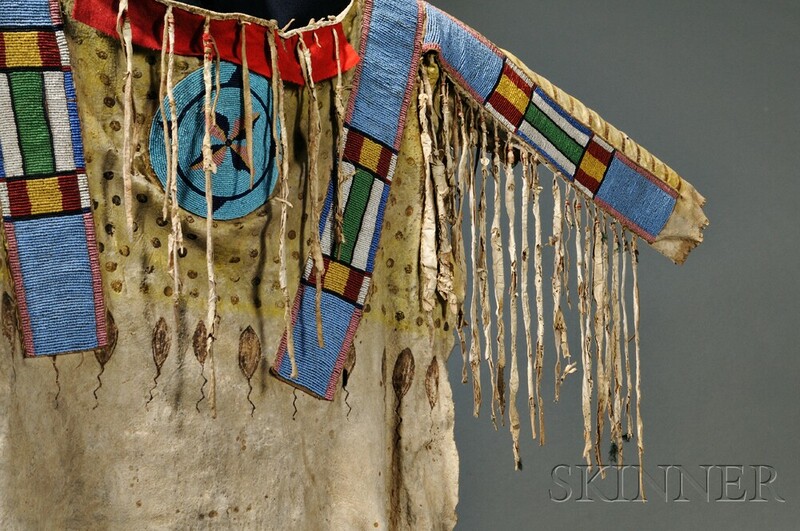 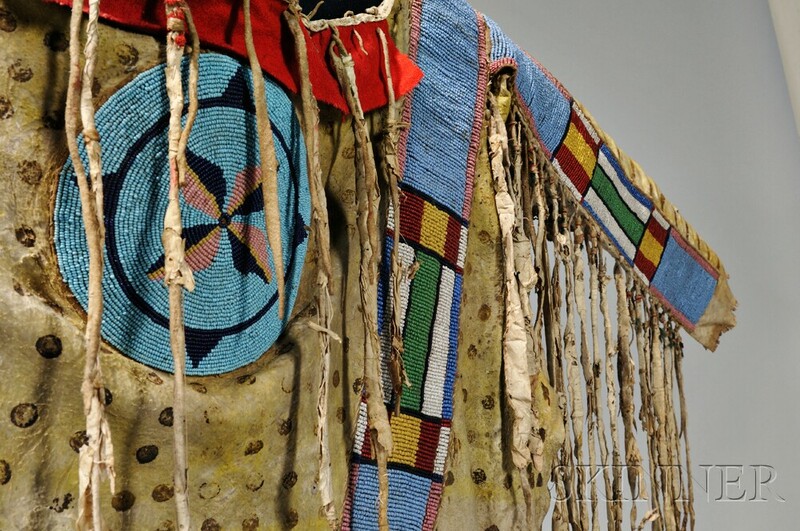 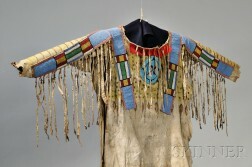 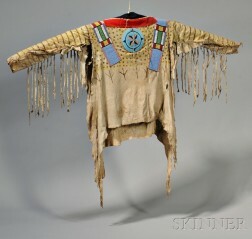 Blackfoot Beaded and Painted Antelope Hide Shirt, c. 1870, the upper portion stained yellow and with brown "hail dots" on both sides, at mid-level are bird tracks on the front and "tadpoles" on the reverse, the sleeves stained yellow and with parallel stripes, with matching beaded rosettes on each side of the shirt, the beaded buffalo hide arm and shoulder strips are possibly Crow made or inspired, remnant red trade cloth and ermine hide drops outline the beaded strips, the red trade cloth at the neck has been restored, shirt lg. 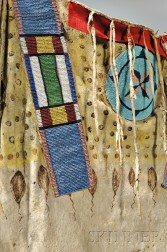 including the drops 43, across the sleeves 66 in. 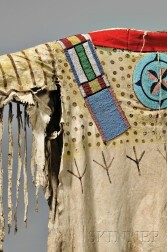 Provenance: The John S. MacKay collection. 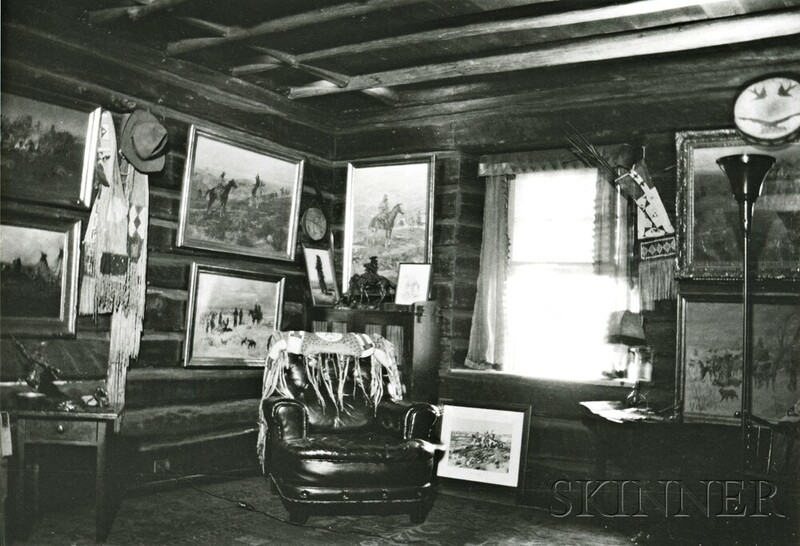 In a correspondence to Kirke, John writes: "I was going through some old photographs and came across four negatives of my grandfather's Russell Room in New Jersey. I'm wondering if the Indian shirt is the one draped over the chair. 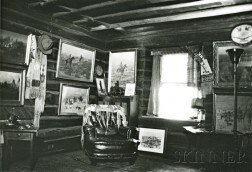 According to Bill MacKay Sr. a man by the name of Ned Frost and a friend of Charlie Russel bought the Indian artifact for my grandfather to decorate the Russell Room. My grandfather died in 1932, so I assume all were collected before that date."